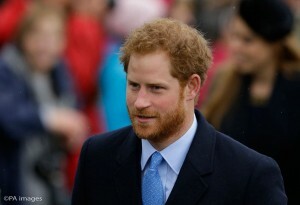 Britain’s Prince Harry is scheduled to visit Guyana before Christmas as part of a tour to several Caribbean countries on behalf of Queen Elizabeth II, Kensington Palace announced. This visit will be the first by a member of the Royal Family since 2004. “It gives me great pleasure to be able to confirm that Prince Harry will be visiting Guyana later this year. This will be the first visit by a member of the Royal Family since 2004 and comes, of course, in the year of Guyana’s 50th anniversary of Independence. It is therefore a particularly relevant time for such a visit,” he said in a statement. Prince Harry’s visit will also take him to Antigua and Barbuda, Barbados, Grenada, St Kitts and Nevis, St Lucia, and St Vincent and the Grenadines. The visit falls on the occasion of the 50th Anniversary of Independence for Barbados, the 50th Anniversary of Independence for Guyana, and the 35th Anniversary of Independence for Antigua and Barbuda- all former British colonies.